Take Art was delighted to be asked to contribute to leading research journal, Early Education’s Autumn 2018 special issue on music in early childhood. We explained how and why we support early childhood music. 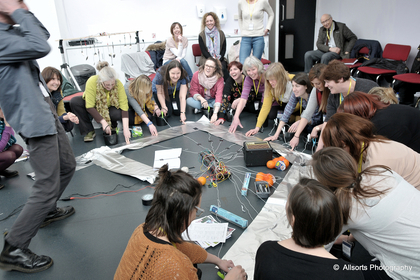 We showed how we question assumptions, explore, understand and develop the professional role of the early childhood music practitioner and bring an array of partners together. Other authors were Dr Susan Young on analysing beliefs and ideologies of music in ECE and a call for high expectations, musician Steve Grocott on improvisation in early years music and education and Nicola Burke on music at the heart of early childhood music making.